We're vying to be in the top twelve bands in the world - it's not going to be an easy ask given that we have less active members than most. I've got all day tomorrow and Tuesday to smash out LP and XP - I'm still hopeful that we can do it. I do think we need to put in a real effort to get another 30-50,000 points in the spotlight scores. I can only put in another couple of thousand there sadly. 1. How intuitive/fun/rewarding is it to play? 2. Is anyone selling or have tips on where to get started up? PS4 version I'm looking for. Seems I might even be best investing in a electric drum kit as it's only really the drums i'm interested in as I'll be playing it solo. Quite fancy it as it seems a decent way to learn but then I've never tried it so no idea how transferable it is potentially. Luboluke wrote: PS4 version I'm looking for. Just went to play Rock Band for the first time in ages and the batteries in my drum set have leaked in the compartment. Which is strawberry floating gooseberry fool. Also, is there really no training in RB4? Seems like a bit of an oversight. Had to throw my kids in the deep end a bit. I think they added a training mode about 6 months or so in to the main games release after a number of complaints. I've never used it myself but I'm 99% sure it's accessible from the main menu. I don't think you can access the training from pausing a song/after failing a song like previous Rock Bands. There's also 2 guitar trainers for the freestlye mode. And an achievement(s) linked to one or both of them. This is accessible from the main menu again (I was forced to play it when I launched RB4 for the first time on my profile with a guitar controller connected). They've also added "breakneck speed" options since launch which replicate the same options in older Rock Bands. Again I don't use them but they're designed to speed up the note highway which causes the gems to space out more which some people prefer, there could also be options to do the reverse and slow the highway down giving your kids more time to hit the notes. There's the no fail mode. Not sure if they ever added "auto kickpedal" for drums and "auto strum" for the guitar/bass which was only ever featured in Lego Rock Band despite people requesting it to be added to the mainline games since then. In fact it might be worth getting them to play the Lego version if you have it and don't mind digging a 360/controllers out? There are all kinds of cool additions in that game for family play. Would've loved them to expand on the crazy music videos from LRB in 3 and 4. Is that why the likes of The Coral got into that one! I strawberry floating *love* the L:RB tracklist and it's genuinely such a massive regret that I haven't got the export. Looking online there's a couple of videos of them being played in RB3, so were they RBN tracks? Harmonix's blog about it doesn't seem to mention if they were or not. Didn't they have a catchy name for RBN re-releases? If you’re buying any of this weeks DLC it might be spotlight songs so we could use your help putting in crew scores if you have any working controllers! Graffiti is a banger (possibly my fave of their new tracks) so I'll allow it despite them being very synth-driven. Yeh it’s a good track. I was expecting Mother We Share if they ever did make it in to the game as Harmonix have already licenced that one for their Dropmix game. This fits much better for Rock Band though, should be good on drums and vocals! Remember that release we talked about a few weeks ago? Well, now it’s here! Before we dig into the details, I’d like to take a minute to thank you (yes, you!) for all your support. 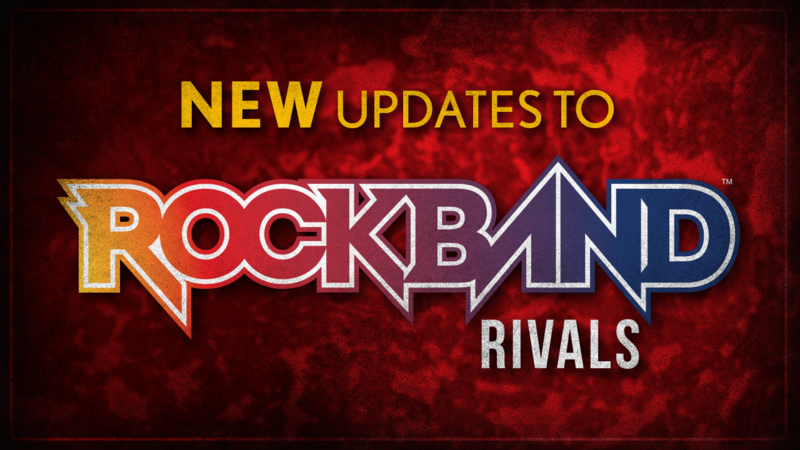 We’ve now been supporting Rock Band 4 with updates and new content for over THREE YEARS. That’s the longest any Rock Band has been supported to date. Thank you from myself, the team, and the rest of Harmonix for your time and interest. We couldn’t have done it without you. Now then, on to the update! We’re adding great stuff to help you personalize your experience and we’re making good on some promised quality of life improvements. No matter who you are or how you play, this update has something for you. Selectable Track Skins - Customize your note highway with new (and old!) visuals to spice up your play sessions. Let’s start with Track Skins! A cool, new customization option to let you spice up your playing. Take that black note highway from drab to fab (or stick with it because black is an enduring classic) with options galore for new visuals. Whether you’re looking for goofy or throwback or edgy or just something cool-looking, you’ll find it. They’ve all been carefully worked to give the impression that the visuals are ‘under’ the highway, like looking through glass, to prevent them from impacting your playing ability. And there’s more to come to expand your collection. Selecting ‘Challenge Songs’ as your online preference now only lets Challenge songs be chosen. That’s great, now you won’t have to worry about inefficient XP gains and Social Bonuses when your Crew is not online. Hop on and anyone can be as helpful as you would like them to be! Song length is now visible right on the song library. No more will you need to make a single-song setlist to remember how long “In-A-Gadda-Da-Vida” is (it’s really long), you can see it as part of the song data shown to you on the song’s listing. Convenient! We’ve also cleaned up a handful of instrument-specific issues. 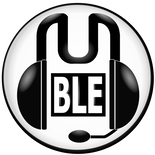 Recent vocal issues such as Overdrive earning, multiplier building, and final phrase scoring are all fixed up now. We’ve also solved the ‘Lefty Pro drums issue’, which didn’t correctly factor in inputs with green snare and red crash at the same time. We also caught that Drum Solos didn’t properly make the sides of the track glow, while Guitar and Bass Solos did, so now everyone is looking just as cool in a solo. On top of that, we’ve improved performance throughout the game. We sat down with a lot of the older code and refactored it, resulting in a bunch of memory saving. What’s that mean? Selections are now faster and menus are snappier all-around. Speaking of menus, we reshuffled the Main Menu and the options within. We’ve added a bunch since the last time, and reorganized it based on usage. There’s even new menu music to help it feel fresh. This update should greatly refine the play experience for everyone, with the menu refresh allowing for better travel through the game, Track Skins making playing more unique, and all the little changes from your feedback helping Rock Band 4 be what you want it to be. Thanks for playing, and we’ll see you next time! strawberry floating finally - vocals have been shafted for months.